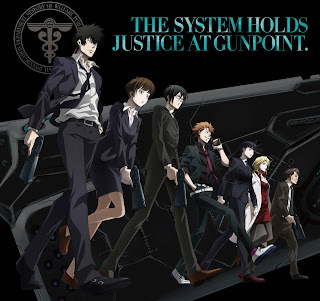 Psycho Pass is a series set in the near future, the time when people's lives are determined by their state of mind and personality using the Sibyl System. This means that a person can be deemed to be a danger to others even before they do something which makes them so. Also, "Psycho Pass" is a term which refers to a standard used to measure an individual's being. The story follows Akane Tsunemori, a newly recruited Inspector who works with Shinya Kougami, an Enforcer, and others in their team to help investigate and solve crimes. 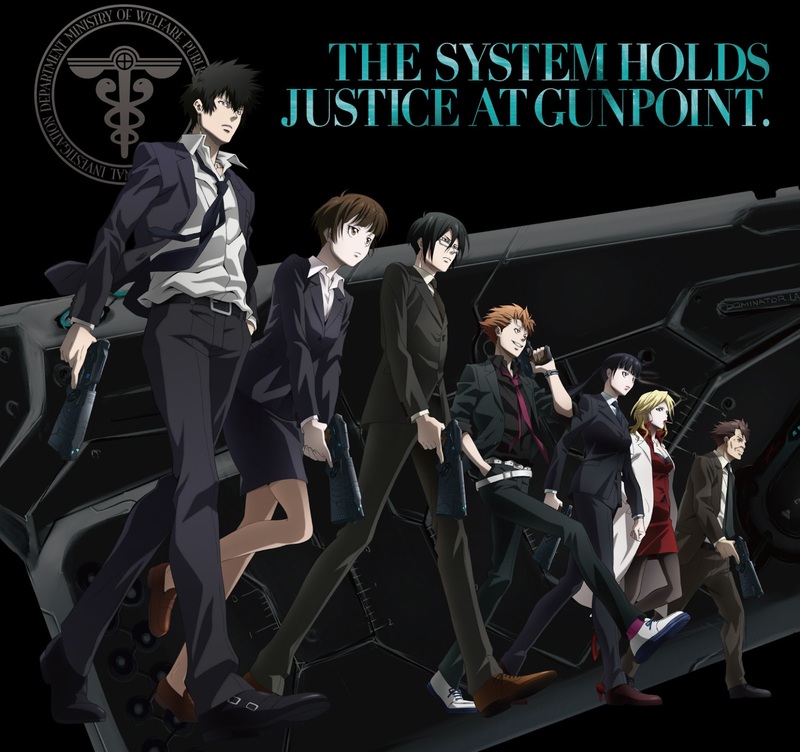 Psycho Pass has everything you look for in an anime (and any show in general): gripping story and plot, interesting characters, fast paced action and a well-paced story progression, tied together with an element of Sci-Fi. There is also a second season which follows on from the end of the first. It doesn't have the same wow factor as the first season (due to the absence of a certain character in my opinion), but in its 11 episodes it still has a similar amount of depth in terms of story and characters. For those who enjoyed the first season, there is an extended edition which combines two episodes into a 45 minute episode with some extra scenes, so you can relive the experience with some new moments. Also I recommend watching this if you miss a certain character *cough cough*. And that's not all, as there is also a movie which is set after the two seasons, which I haven't currently seen but would recommend watching anyway.